Energy storage, often referred to as the holy grail of clean energy, has finally arrived in Ontario. Temporal Power’s market-leading flywheel technology is the first grid-connected energy storage system in Ontario. 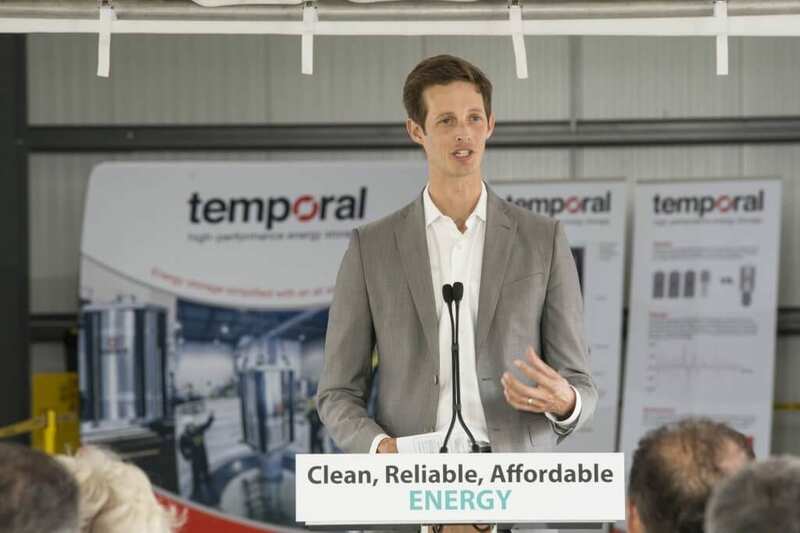 The facility, located in Harriston, Ontario, officially opened on July 22, and it promises to be the first step for Ontario’s energy storage future, as well as Temporal Power’s. Energy storage technologies are essential to our changing electricity grid and can improve the overall efficiency of our system through a variety of distinct services. Storage helps stabilize our grid, which is especially important with the increased integration of renewable energy, and it also manages discrepancies between supply and demand. Energy storage systems can also help alleviate demands on aging infrastructure and the energy system as a whole. 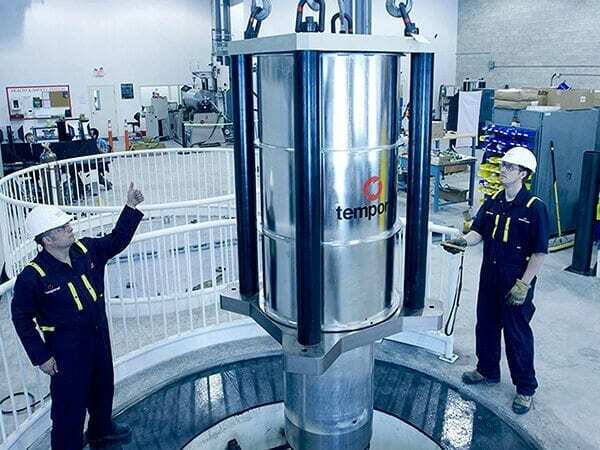 The flywheel facility, which is owned by Toronto-based energy storage project developer NRStor Inc., will provide regulation service to the Independent Electricity System Operator (IESO), helping to manage Ontario’s electricity grid. Regulation is a vital service that matches scheduled electricity generation to dynamic consumption, balancing the grid in real time. Regulation is contracted by the IESO, and Temporal Power’s flywheels are one of several methods employed to manage the grid. Temporal Power’s facility is sure to pave the way for additional energy storage technologies to be deployed on the Ontario grid, increasing stabilization and longevity. 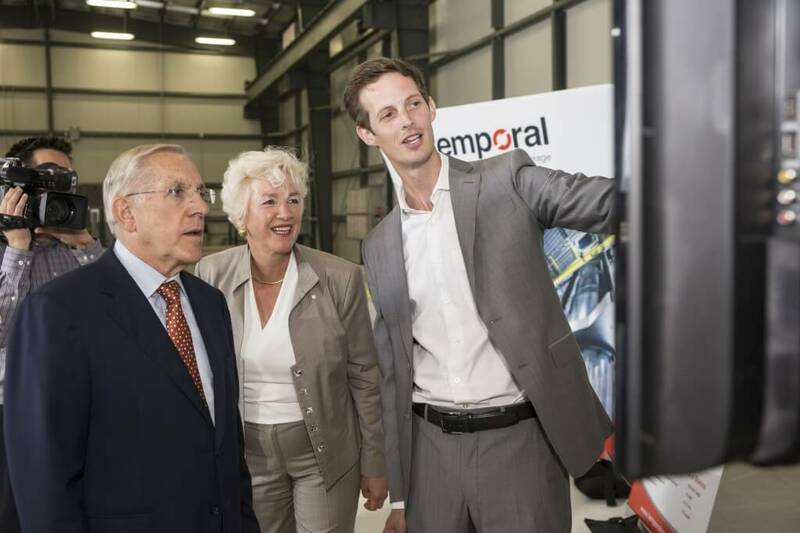 A full-scale, successfully operating facility in Ontario is also sure to open international opportunities for Temporal Power—after all, energy storage technologies are sought worldwide, not just in Ontario.